Rent Your Property to College Students. Uloop makes it easier for students to find you. 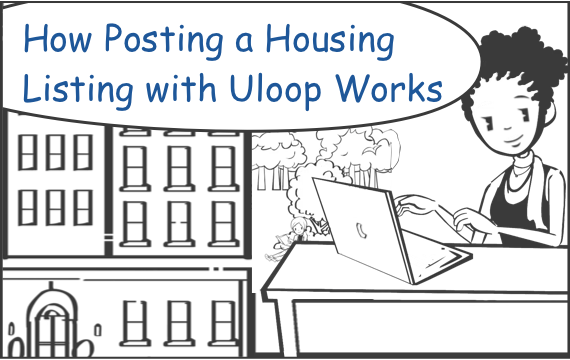 When you post a listing on Uloop, it is included in the classifieds of all Uloop schools within 25 miles of the property location and to select college newspaper websites in your area. 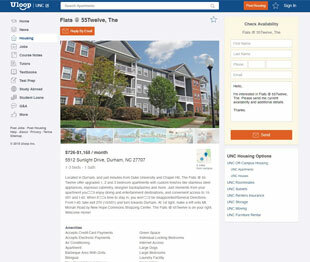 Uloop offers volume pricing for housing providers interested in purchasing multiple housing listings with Uloop . To inquire about our volume rates, contact us at the number provided below. Check out the latest Student Housing news, straight from college students who write about topics related to student housing. "Uloop has taken the hassle out of locating eager college students looking for housing and has helped bring renters right to our front door!"